In honour of World Water Day, NRD Capital, an Atlanta-based private equity firm specializing in franchised and multi-location business investments, announces its first philanthropic pledge through the NRD foundation. The first recipient is Jibu, a Kenyan-based social enterprise working to ensure access to basic human needs, with water as its anchor product. Founded in late 2017, the NRD Foundation was inspired by Aziz Hashim, managing partner at NRD, and his other founding partners. Rooted in two of the firm’s core values – generosity and mentorship – the Foundation leverages NRD’s expertise to support entrepreneurs and catalysts for job growth around the globe. The Foundation will have an initial focus on Africa, where Hashim and his partners have experience investing in various brands and other ventures – including South Africa-based Mike’s Kitchen, which is currently in NRD’s portfolio. Jibu, the NRD Foundation’s first recipient organization, pioneers a powerful new model that capitalizes and equips entrepreneurs in emerging communities to own businesses that ensure access to basic human necessities. Water is its anchor product. 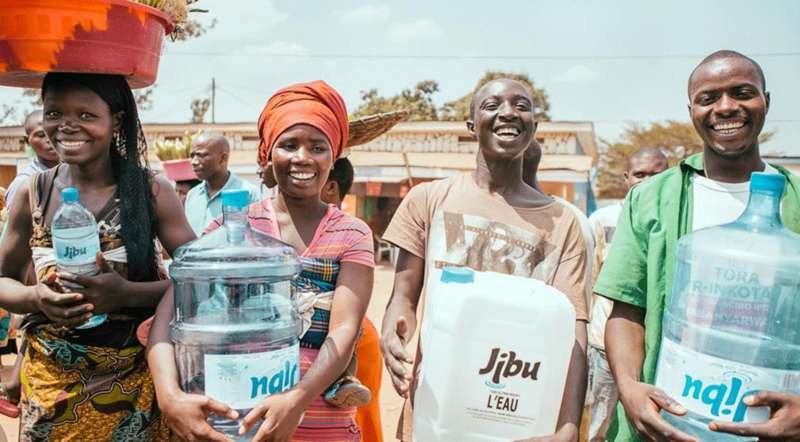 Jibu has scaled a network of locally owned, financially independent and self-sustaining franchises that provide safe drinking water to their communities. These franchises also offer life-changing training and employment. The company currently has more than 200 franchises across Kenya, Rwanda, Tanzania, Uganda and Zimbabwe. NRD Capital, founded by Aziz Hashim, invests in brands that offer superior products/services and compelling unit-level economics to help them strategically grow through the power of franchising. The fund invests in small to medium-sized franchisors, infusing capital and applying operating expertise to domestic and international brands. Through its international philanthropic arm, the NRD Foundation, the firm supports both for-profit and non-profit organizations that create entrepreneurs and financial independence around the world.